When Dr. Larry Patterson opened the first Eye Centers of Tennessee office in Crossville more than 30 years ago, one of his primary goals was to bring eye care to a rural community that, at the time, had few options for comprehensive ophthalmic care. And although it may seem that the ECOTN team has achieved that goal locally and regionally by expanding into rural communities nearby (just this month, we announced that we’ll begin seeing patients in Byrdstown in April), Dr. Patterson’s efforts to deliver eye care services to underserved communities remains a deep passion. 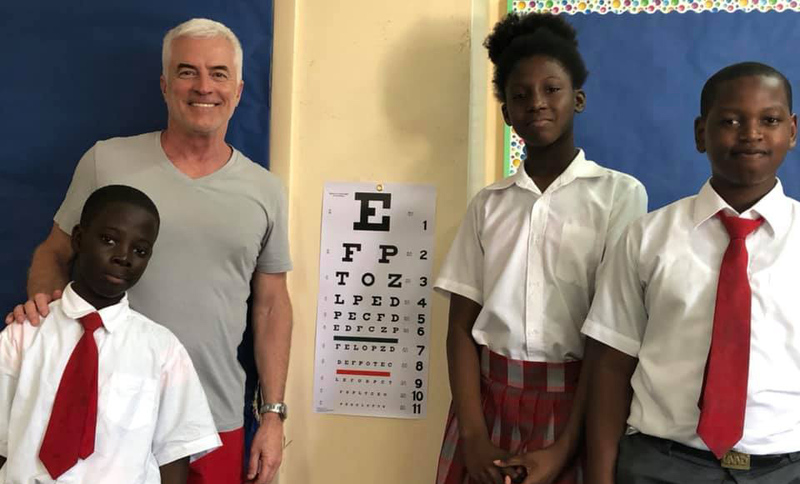 Earlier in March, Dr. Patterson taught a class in the Bahamas in partnership with Exceptional Education Outreach (EEO), an organization that focuses on delivering high-quality learning opportunities to Bahamian children. During this visit, Dr. Patterson focused on educating the teachers at five of EEO’s partner schools. This visit is just one of many mission-oriented trips that Dr. Patterson and other members of the ECOTN team have participated in over the years. Keep an eye on our blog to learn more about ECOTN’s local, regional, and global impact.